Roses have been a favorite for thousands of years of humanityAccording to the University of Illinois, cultivation of roses likely began around 5,000 years ago in China. Cultivated roses are thought to have been introduced to Europe around the late 18th century, laying the foundation for what we now know as modern roses. RED: This oneâ? ?s easy. The inimitable classic red rose symbolizes true love, and also suggests passion. 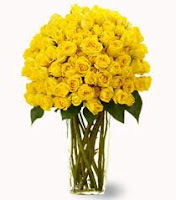 The most classic, typical color for sending roses, and with good reason. WHITE: White roses are always one of the most popular colors or shades of roses, and they have come to symbolize innocence and purity. PINK: Perhaps the earliest rose to evolve, a pink rose has come to symbolize appreciation and gratitude, among other things. YELLOW: Appropriate for most occasions, yellow roses primarily send a message of friendship and joy. ORANGE: Sending orange roses is a bold move, and can convey desire and happiness. LAVENDER: Has generally come to symbolize love at first site. DEEP PURPLE: Often associated with enduring or long-lasting love. Roses have been a favorite for thousands of years of humanity. 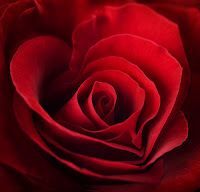 According to the University of Illinois, cultivation of roses likely began around 5,000 years ago in China. Cultivated roses are thought to have been introduced to Europe around the late 18th century, laying the foundation for what we now know as modern roses.